Garden Room - Who Has The Best Garden Room? 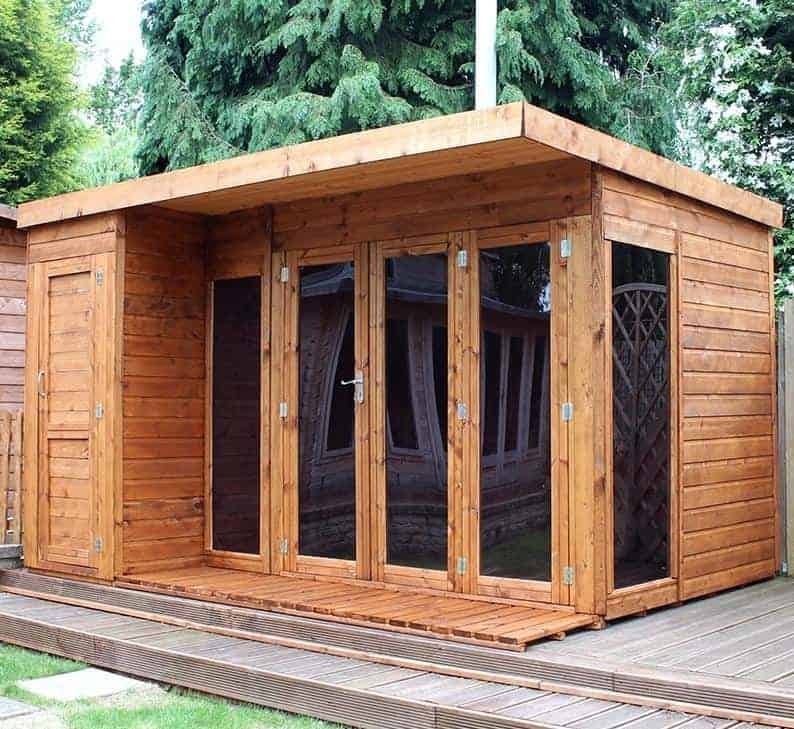 Garden rooms come in different sizes, and with different price tags attached, but the one thing they share in common is that they are all attractive and practical garden buildings. They not only provide an extra room for your home within your garden, to be utilised as you please, they beautify the garden, and can therefore add value to a property. 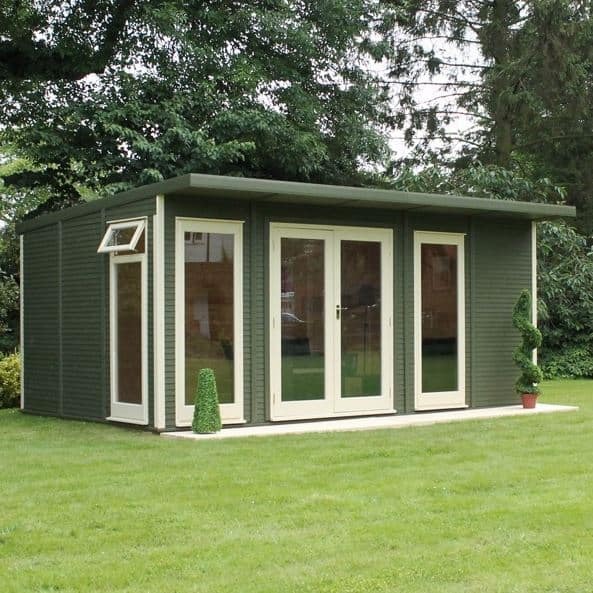 To help you find the model that’s just right for you, WhatShed have created this handy guide to the very best garden rooms that can be bought online in the UK today. 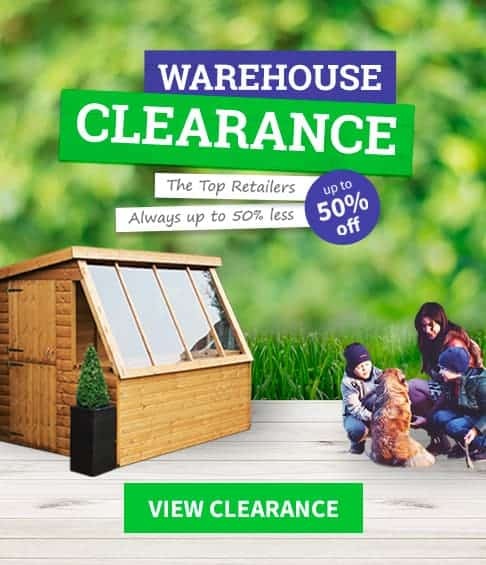 In a moment, we’ll reveal the criteria we used to decide what makes a garden room, and then using that criteria we found ten top great products for our league table. We then ranked them by looking at features such as cost and value for money, build quality, visual appeal, and durability. When we started compiling this league table we first had to define just what a garden room is. We wanted to differentiate them from garden offices, which are invariably fully glass faced to provide the natural light needed to work in. 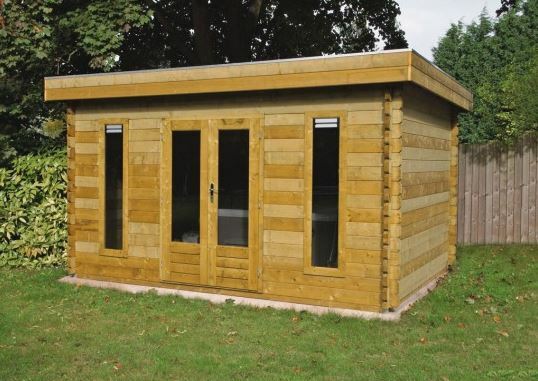 For that reason, the garden rooms featured here also contain an element of wooden cladding alongside glazing, although they share a pent roof design in common with garden studios and offices. This means that they are versatile buildings that can be used for either work or leisure purposes, acting as a de facto extension to the home. This criteria narrowed down the number of buildings to select from, but we were still happy to find ten high quality garden buildings deserving of a place in our league table. With a diverse range of buildings and prices, selecting an overall champion was difficult. It’s well done then to the BillyOh 5000 sanctuary, that thanks to its good looks and outstanding value for money takes top spot in our guide to the UK’s very best garden room that can be purchased online today. 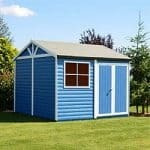 For garden buildings of all kinds, WhatShed bring you the independent reviews that can help you make a smart purchasing choice. Garden rooms are among the most practical and attractive garden buildings that we review, and yet they’re typically also among the more expensive. That’s where this BillyOh sanctuary style garden room scores so highly; with an interior area of approximately ten foot by six foot, we feel its asking price of just over six hundred pounds represents outstanding value for money, especially as it brings with it a 10 year guarantee against rot. 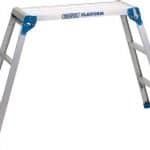 It should be noted that a floor is not included as standard, but as a high quality tongue and groove floor can be added for less than sixty pounds, we still feel the value for money is enough to carry this to the top of our WhatShed league table. Style wise the pent roof is a little more pitched than we often see on garden rooms, and this means that rainwater is very swiftly carried away. With a peak height of 2.03m, it’s not the tallest garden room we’ve reviewed, but there should still be enough room to move around inside without having to worry about bumping your head. We also liked the half glazed nature of the building, with the glazing arranged in a Georgian style. It’s very elegant, and once again belies the relatively low price tag for what we feel is a durable and good looking garden building. 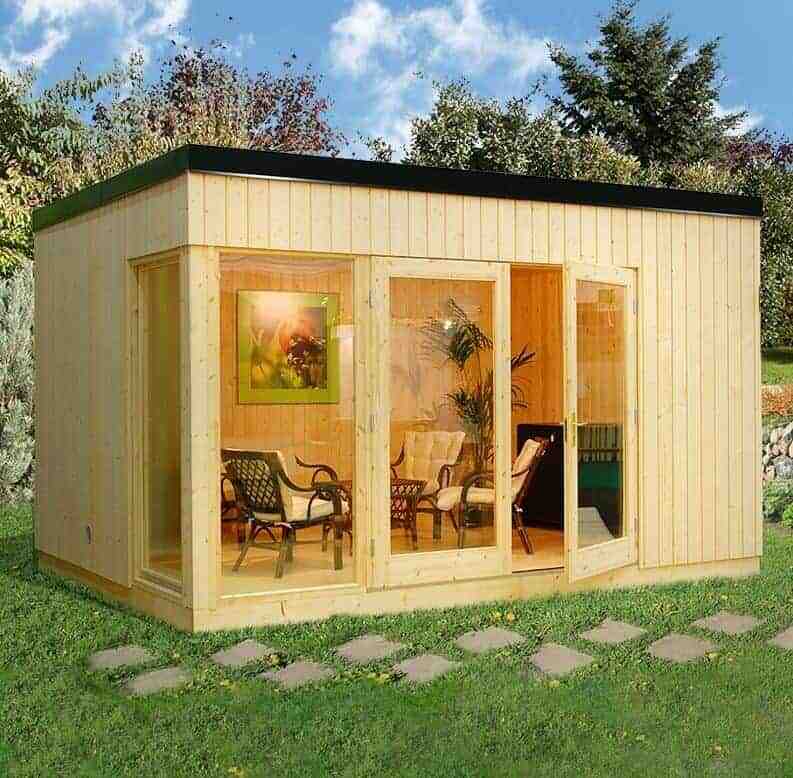 Garden rooms often differ from garden offices in that they have an auxiliary area that is not glazed, and this Windsor building is a perfect example of that genre. Whilst it has five fully glazed panels including on the main double doors, there is also a projecting area to the left that is window free, and which has its own lockable door. We really welcomed this, as it means that this part of the building is free from the threat of prying eyes, and is therefore a good place to store items of value that you wouldn’t want to be on show to passers by. 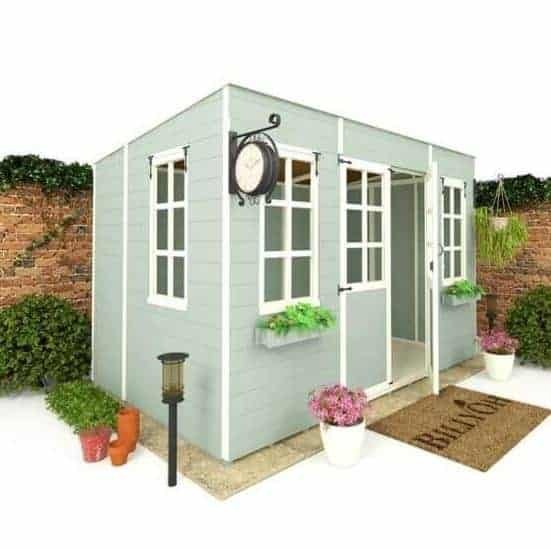 This makes the garden room as a whole a much more secure environment than many we review, and as it also represents comparatively good value for its 12 foot by 8 foot dimensions we feel it fully deserves its runner up position in our league table. There’s enough glazing to ensure that the interior is well illuminated, and we were impressed by the use of tinted styrene glazing, which isn’t always something we see. This should help to negate too harsh or bright sunlight, which is good news whether you want to use the garden room for working in or simply relaxing inside. We were also impressed with the wide concertina style doors, making it easy to move wide and bulky items such as furniture inside. This is the second Windsor garden room to gain a place inside our top three, which shows what a high quality manufacturer they are. This ten foot by ten foot building looks very different, however, to the model we’ve just examined, and yet we found it even more pleasing on the eye. The first thing that caught our eye were the fully glazed bi-folding double doors that take up the corner of a front and side panel. Nearby on both these sides is a large window, so there should be lots of light on a sunny day, and being made of styrene you won’t have to worry about them shattering. It’s also a cost effective glazing option, which is why it’s one of the most affordable buildings in our league table, especially as, like its stablemate above, it also comes with a 10 year warranty against rot. Although there is a large amount of glazing, there’s also a significant cladded area to the other side of the building, which is typical of garden rooms. We were pleased to see that high quality tongue and groove cladding had been used here, as not only does this keep rainwater out thank to its tightly interlocking timbers, it also creates an attractive and classy look that should prove particularly popular among garden traditionalists. 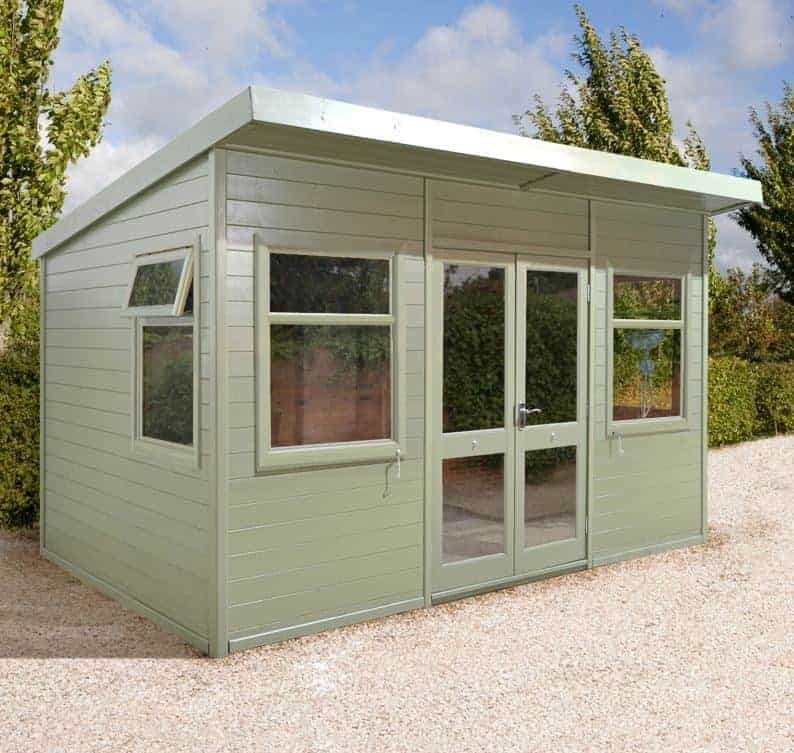 This ten foot by eight foot garden room has a significant advantage over the models we’ve already looked at, and we feel they certainly live up to their ‘ultimate’ name. That’s because the manufacturer has pressure treated all of the tongue and groove cladding prior to its delivery. It’s something that we always like to see, as it gives very long lasting protection against the threat of rot, and on this occasion it also results in a very reassuring 15 year guarantee being provided. It also, however, brings a price tag that is significantly greater than the three buildings above it, which accounts for its relative positioning in our league table. If you don’t mind paying just over three thousand pounds for a building of real quality, then this could be the one to put at the top of your shortlist. We also liked the appearance of these garden rooms, as their symmetry adds to their aesthetic appeal. At the centre are fully glazed double doors, with a half sized window on either side of it, and two more on the side panels. It’s a pleasing mixture of glazing and cladding that epitomises the very best garden room, and we were especially pleased to find that toughened glass had been used rather than the cheaper styrene glazing that we often see. These are the second set of garden rooms in this top ten league table to feature an integrated secure storage area, accessible via its own single hinged door and opening onto a window free area, meaning that passers by will have no way of knowing whether or not anything valuable is being kept inside. 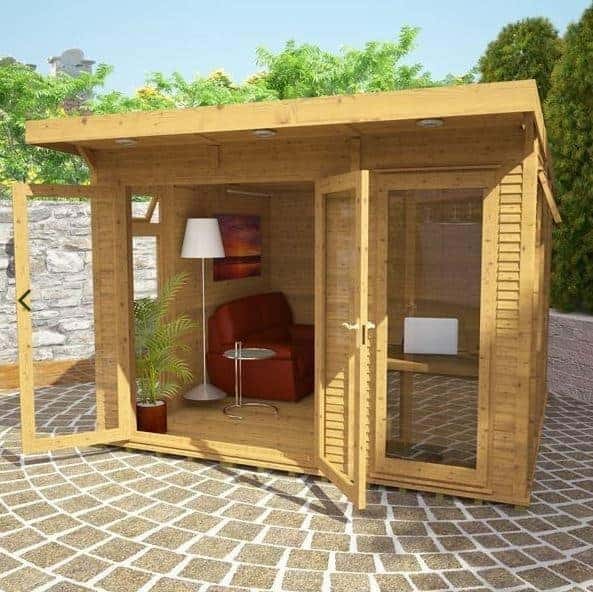 We feel that this feature is especially useful with a garden room as they are often used as a home office; the secure area can be used to store computing equipment when not in use. This particular model, however, comes without the added value of a 10 year warranty, which is why it finds itself in a lower position than the Windsor model that we looked at earlier and which also shares a base area of approximately twelve foot by eight foot. The pent roof of this garden room is also a little lower, although the peak height of 2.26m is still greater than on many similar sized garden buildings that we review; this also means that it shouldn’t require planning permission as it’s under the 2.50m height threshhold. Once again the frontage of this building, with the exception of the store which is to the right on this occasion, is dominated by head to foot glazing, so there should be lots of natural light available inside the building. Value for money is an asset we prize very highly when it comes to garden buildings, which is why our top three garden rooms were notable primarily for their great value asking price. 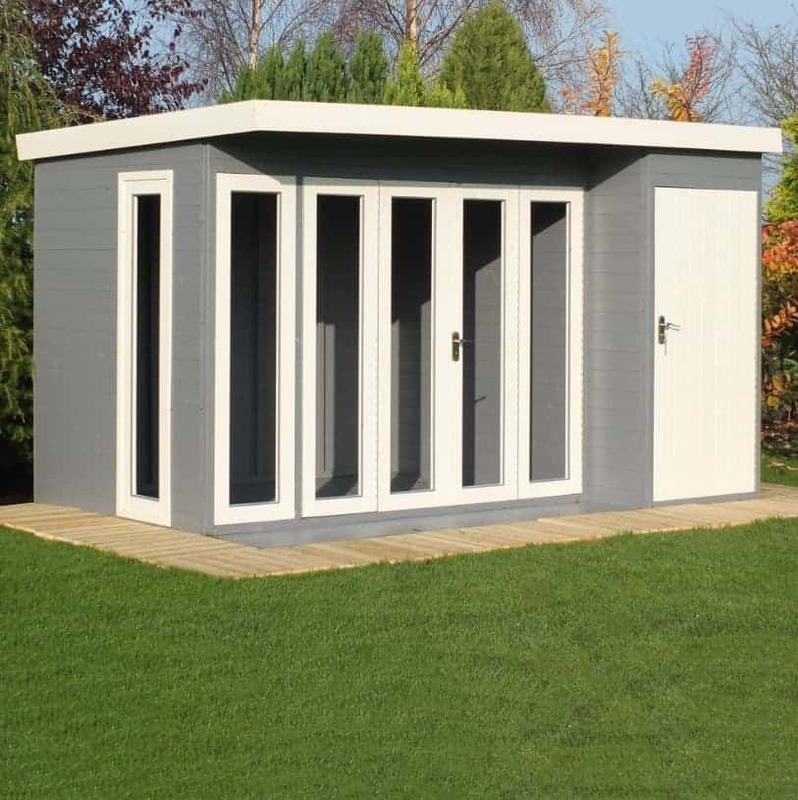 Some garden rooms, however, can have significant price tags attached, and whilst we have taken this into consideration when compiling this guide, we did want to represent models that are suitable for budgets low and high. At a cost of over five thousand pounds, this may be beyond the budget of some people, but its high quality components meant that we felt we had to include it within our guide, a principle that also applies to the more expensive models looked at later. These garden rooms share their profusion of glazing across the frontage with garden offices, although there is still a clad section here before the double doors and the full length window nearby. What really makes this garden room stand out from its competitors is that it is fully insulated, which should create a pleasant environment to spend time in even when it’s cool outside. We were also pleased to see a 15 year warranty included, which is an indication that the strong timbers have been given an initial pressure treatment by the manufacturer, and these features do serve to add a little extra value. The Lugarde garden rooms differ from every other model inside this top ten league table in that they use loglap rather than shiplap cladding. 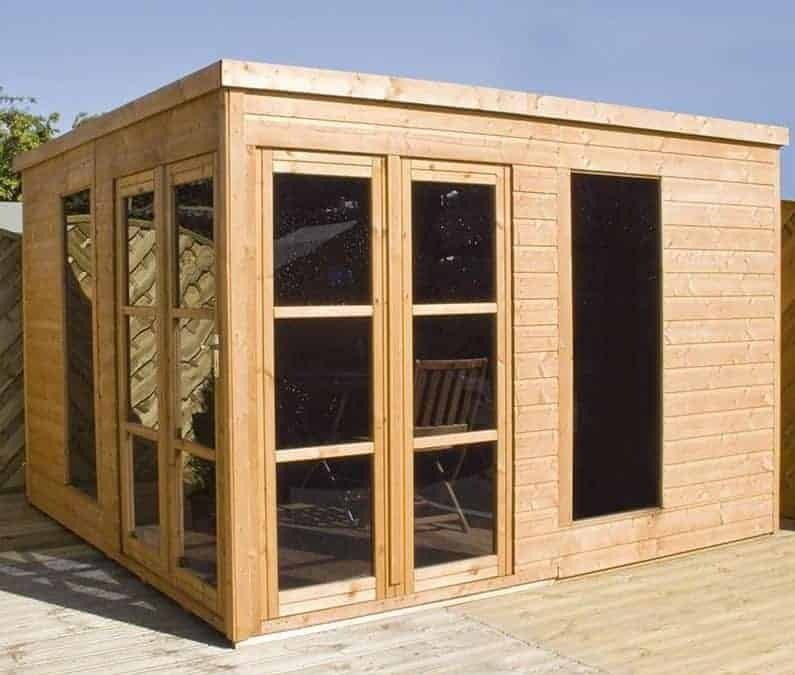 They still incorporate the classic garden room design however with the front carrying a pleasing mixture of glazing and wood, which is why they have been considered for this league table. With its inherent toughness it could have found itself in a much loftier position itself, if it wasn’t for the lack of an extended warranty and a price tag that was slightly higher than average for a building with a base area of four metres by two and a half metres. The 44mm thick logs utilised for the cladding on this garden room is considerably thicker than the 12mm tongue and groove cladding that we frequently see. This should mean that the building is significantly stronger and more stable than average, which is why we feel it will be especially suitable for gardens that are often exposed to strong winds. 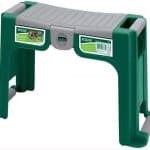 This will also likely mean that it’s a little heavier to manoeuvre during the installation process however, so it may help to have two friends to assist with this. The floor, at 19mm, is also thicker and stronger than we’re used to seeing, so you shouldn’t have to worry when placing heavy furniture upon it, or if installing machinery inside this garden room. With a base area of approximately three metres by five metres, this garden room is the second largest in our top ten guide, but they also come with the second highest asking price of nearly eight thousand pounds which accounts for their position in the final three of this WhatShed league table. One unique feature included with this building, however, is a free installation service. This is something we were very glad to see, as a garden building of this size can otherwise take many hours to install. For that reason, we feel this garden room is a smart choice for those who aren’t concerned about a budget, but do have time constraints. Once again we found that the interior is insulated, and that gives these garden room a significant advantage over the majority of similar buildings we review. Whether you plan to use them primarily for business or leisure purposes, it’s good to be able to extended them beyond summer and the warmer days if spring and autumn. The double glazed windows should also help to keep warmth in and noise out, and we were glad to see that one of the windows can be opened to provide a quick and easy source of ventilation on hotter days. 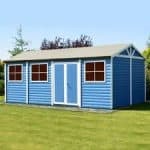 We’ve reviewed lots of Palmako garden buildings, from greenhouses to plastic sheds, and we invariably find that they are well built and reliable. We were pleased to see that the same qualities could be attributed to their fifteen foot by eleven foot Paris garden room, although on this occasion a price tag of all but five thousand pounds ensures that it has to be content with the penultimate spot in our league table, especially as it only comes with a 5 year extended warranty rather than the 10 year and 15 year offerings that we often find on wooden garden buildings of this size. Nevertheless, we did find a lot to like in these garden rooms, not least their toughness. Nordic spruce has been used for the tongue and groove cladding, and this is a wood known for its natural weather and rot resistance. The cladding used, at 28mm, thick is also much thicker than we usually see, making this probably one of the strongest garden room that we’ve reviewed. This toughness is also reflected in the use of toughened glass for the windows and glazed double doors, which is especially reassuring if you’re likely to have young children playing in the building’s vicinity. For these reasons, we wouldn’t be surprised to see it far outlast its warranty period. With dimensions of approximately seventeen foot by twelve foot, these are the largest of all the garden rooms to gain a place inside our WhatShed league table. This generous size brings with it added versatility, as it means that it could easily be used for dual purposes. 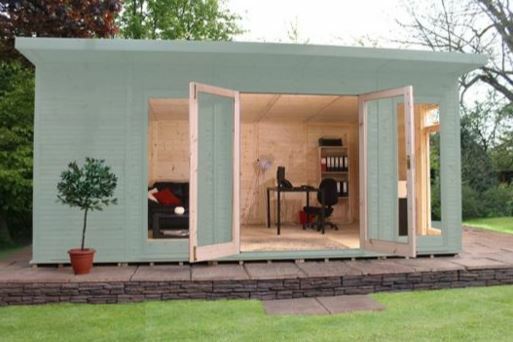 We can imagine the end that contains the majority of the glazing, for example, being used as a garden based office, while the other half could be used as a store or workshop, or even as a home gym. This large footprint brings with it a large price however, although it should be noted that installation is included in the cost, and this is why it occupies the tenth and final position in our list. What we particularly liked about these garden rooms is that are not only installed upon delivery, they also come pre-painted in a seagrass colour; it’s a blue shade that we found very easy on the eye, and it should ensure that this becomes a much loved garden feature in its own right. With a building of this size it also saves the customer a considerable amount of time and effort in painting the timber themselves. We were also impressed by the inclusion if insulation, making this a good choice for people who want to have regular use of their garden room throughout the year.